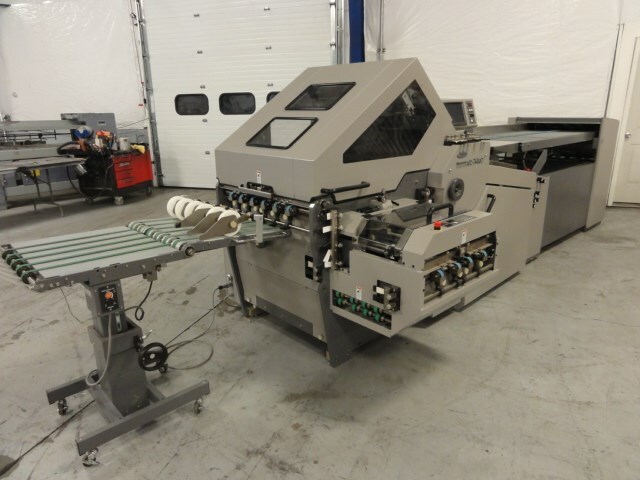 w/ continuous feeder, 4 buckle plate in main section and two knives in right angles. Roll up mobile delivery that can deliver in either direction. Touchscreen control automatically sets all fold functions by servo motors as well as can store previously inputted specs for repeat jobs. Perf and score shafts, auto registration mark control. Comes with Rietschle Dru Vac pump. Very Compact design. Note: This is a demo model folder that has never been installed in a commercial shop and is like new. Only about 50 total running hours on this machine! 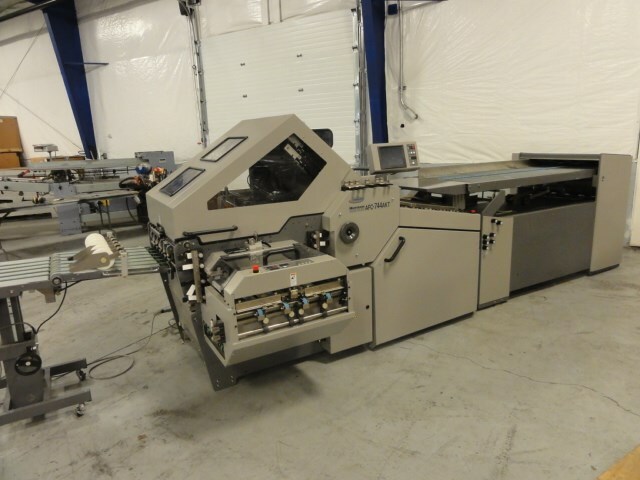 Optional TST 37 pressing / stacker delivery with banding section available for $11,500. New and in original packaging.